Use a word processor – Write, compile and edit your comments in a word processor, then cut and paste your comments into the BLM Website to insure your work is not lost in case of a web error, and it allows you to use the letter again to alert your representatives in Congress of your concerns. Be specific – BLM suggests that “substantive comments should be as specific as possible.” This public comment period is focused on objections to and inadequacies with the Draft Environmental Impact Statement. While you can voice opposition to oil and gas development in the Arctic Refuge overall, specific comments on the Draft EIS is most helpful. Speak from the heart – The Arctic National Wildlife Refuge is important. The Refuge is your public land to celebrate and protect. Using your own words creates a unique, substantive claim that BLM is required to consider and gives your comments more weight. The Arctic National Wildlife Refuge is a unique national treasure and is no place for oil and gas development. The Friends of Alaska National Wildlife Refuges stands with Alaskans and Americans in opposing oil and gas lease sales in the Arctic National Wildlife Refuge. The Draft Environmental Impact Statement (DEIS) by the Bureau of Land Management (BLM) is insufficient in its analysis of the effects of oil and gas leasing in the Arctic National Wildlife Refuge Coastal Plain and does not fulfill its legal obligation to propose a full range of alternatives to the proposed gas leasing. The established purposes of the Arctic National Wildlife Refuge are “to conserve animals and plants in their natural diversity, ensure a place for hunting and gathering activities, protect water quality and quantity, and fulfill international wildlife treaty obligations.” The 2017 Tax Act (Law No: 115-97) added a fifth purpose of the Refuge “to provide for oil and gas program on the Coastal Plain” Oil and gas is entirely inconsistent with the purposes of the Refuge because it will cause lasting damage to the animal and plant diversity, disrupt subsistence activities, upset water quality and quantity, and disregard international wildlife protection obligations. The DEIS fails to analyze how the oil and gas development will interfere with the originally stated purposes of the Refuge. BLM’s rush to a hold lease sale this year has resulted in an inadequate Draft EIS and limited public participation. BLM is legally obligated to thoroughly analyze the effects of oil and gas in the Arctic Refuge. Instead, the scoping review and DEIS process was compressed to just five months, which prevented a thorough analysis. Work on the DEIS continued through the recent government shut-down even though the Arctic Refuge staff and other BLM employees were not available for consultation. Public comment periods and notice of public meetings were abbreviated. For example, the Fairbanks community had only 5 days notice of their local meeting on the DEIS. The DEIS fails to uphold BLM’s legal obligations to offer an adequate range of alternatives. The DEIS offers only three alternatives, all of which allow full oil and gas development. These alternatives fail to adhere to the limits for development and lease sales set by Tax Act. Additionally, the proposed alternatives fail to protect the stated purposes and biological resources of the Arctic Refuge. The DEIS does not offer reasonable alternatives to the proposed oil and gas leasing, nor does it sufficiently analyze the impacts of the alternatives. The DEIS is deficient both legally and substantively. It failed to include: the required analyses, the necessary mitigation measures and alternatives necessary to protect the resources mandated by the established purposes of the Arctic National Wildlife Refuge. BLM must thoroughly and objectively analyze the 680,000 public comments submitted during the scoping process (which ended in June, 2018), carefully consider the concerns expressed by the Gwich’in Nation that will be adversely impacted by the proposed drilling, and conduct the necessary analyses to understand the impacts of oil and gas leasing in order to comply with federal and international legal obligations. Caribou: The Coastal Plain of the Arctic National Wildlife Refuge that is proposed for oil and gas leases provides vital calving and post-calving habitat for the 200,000 animals of the Porcupine Caribou Herd.. The Porcupine Caribou Herd depends on the unique ecological resources of the entire Coastal Plain during its annual migration and calving. BLM acknowledged that oil and gas activities will likely disturb and displace caribou, especially sensitive mothers and their young. However, BLM failed to adequately address the impacts on caribou and failed to consider the full range of areas and habitats that are vital to caribou during their annual migration. Polar Bears: 77% of The Arctic Refuge Coastal Plain is designated Critical Habitat for Polar Bears, which are listed as threatened under the Endangered Species Act. The Southern Beaufort Sea population of polar bears, which den on the Coastal Plain of the Refuge, have lost about half their population since 1980. Nearly one third of these bears depend on the Coastal Plain to den and give birth to their cubs. This area of the Refuge is one of the world’s largest polar bear denning sites. The DEIS acknowledged that oil and gas activities could cause injury or death to polar bears and that all alternatives would also affect large areas of Critical Habitat. However, BLM failed to identify and analyze mitigation measures that are sufficient to protect the bears, and it did not identify how many bears would be impacted or how the impacts to these bears will affect this threatened species. Birds: The Arctic Refuge Coastal Plain is an essential nesting, foraging, and migratory stopover for millions of birds each year. Over 200 species of birds from every US state and six continents nest on the Refuge Coastal Plain. The BLM analysis of effects on birds is inadequate and contains large loopholes that would allow oil and gas activities to move forward regardless of harm to birds. A thorough analysis of direct and cumulative impacts on world bird populations that spend their summer on the Coastal Plain is necessary to determine the environmental impacts of oil and gas leasing in the Arctic National Wildlife Refuge. 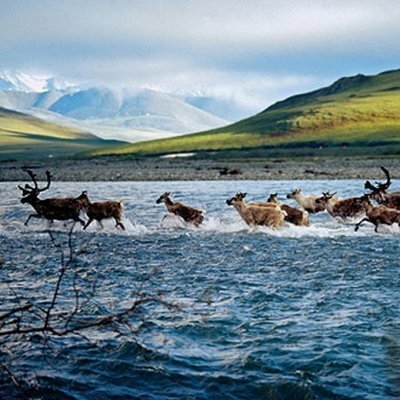 The Gwich’in people of Alaska and Canada are culturally and spiritually connected to the Porcupine Caribou Herd, which in turn relies on the Arctic Refuge Coastal Plain for calving and post-calving habitat. Because of this connection, the Gwich’in consider the Coastal Plain to be sacred and believe that protecting the Arctic National Wildlife Refuge is vital to their human rights and food security. A significant portion of Gwich’in subsistence comes from the Porcupine Caribou Herd, BLM concluded that there will be no impact on the Gwich’in subsistence food source, even while acknowledging oil and gas impacts on caribou. BLM asserted that the Gwich’in do not qualify for an 810 hearing (necessary under the Alaska National Interest Lands Conservation Act), which is required for development that will substantially affect subsistence. The DEIS ignored the traditional knowledge and human rights of the Gwich’in. Water: One of the specific purposes of the Arctic National Wildlife Refuge is to “protect water quality and necessary water quantity.” The DEIS acknowledged that drilling an oil well could use 2 million gallons of water and each mile of ice road uses 1 million gallons of water in this Refuge which has] few fresh water sources, especially in winter. The DEIS does not clearly depict how much water oil and gas activities could use and how this will affect the Arctic Refuge. In their comments on the Notice of Intent, Fish and Wildlife Service, which administers the Arctic National Wildlife Refuge, stated, “Water withdrawals from the streams, rivers and springs could have significant and detrimental implications to the populations and habitats of fish and wildlife.” The DEIS failed to fully evaluate the impacts of oil and gas development on the already scarce water resources and the effects on fish, habitat, vegetation, and hydrology. Air: The DEIS failed to meaningfully evaluate potential impacts of oil and gas activities on air quality in the Arctic Refuge. 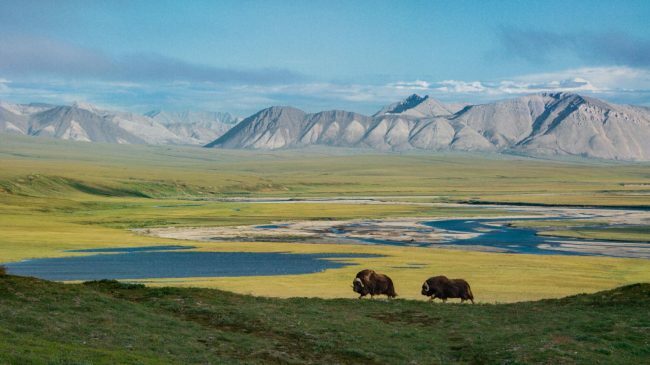 The BLM concluded i that future projects on the Coastal Plain of the Arctic National Wildlife Refuge would be “unlikely” to exceed important air quality standards, but it failed to support this conclusion with sufficient analysis. The DEIS did not quantify pollution emissions nor did it assess the air quality impacts of oil and gas development on the environment and on human health. The Tax Act that allowed oil and gas leasing requires that only 2,000 acres of the Coastal Plain be impacted by oil and gas development and production. However, BLM interpreted this restriction too narrowly. BLM did not count acreage affected by pipelines, gravel mines, ice roads, or other industry activity (such as seismic exploration) that the agency recognizes will have significant impacts. Areas that supposedly would be “reclaimed” also are not considered in the 2,000-acre limit. Thus, the cumulative footprint of development would be much greater than the 2,000 acre restriction with far more actual development and greater impacts]. The narrow definition of the 2,000 acre limit would permit greater impacts on the Arctic National Wildlife Refuge than allowed in the 2017 Tax Act. The DEIS failed to consider proposed seismic surveys. SAExploration LLC plans to conduct seismic exploration surveys on the Coastal Plain during the winters of 2019 and 2020, but the DEIS fails to analyze the impacts of their proposed seismic exploration. The scope of the DEIS is too limited and did not consider the full range of oil and gas activities. BLM is required to consider all of the environmental impacts of the proposed oil and gas program. The DEIS failed to identify the economic value of the Arctic Refuge. The DEIS recognized that the Arctic Refuge has significant ‘ecosystem service values’, that is, the biological resources of this land are highly valuable. BLM recognized that their value would be harmed by oil and gas leasing, but it did not conduct an economic analysis to quantify or identify these values or impacts. The DEIS failed to include an economic projection of revenue from lease sales. The DEIS failed to assess the immense value of wilderness and Refuge lands to air and water quality, wildlife, scientific inquiry, human well-being, and America’s natural and cultural heritage. The DEIS failed to offer effective mitigation. The DEIS acknowledged that the proposed oil leasing could disrupt 633,000 acres of caribou habitat, 40% of the Coastal Plain, but its proposed mitigation strategy — to continue drilling and suspend “major construction activities” for only a single month of the year — is insufficient. Likewise, the DEIS acknowledged its own proposed action alternatives could cause injury or death to polar bears and would affect large areas of polar bears’ Critical Habitat. However, BLM failed to identify and analyze sufficient mitigation measures to protect the bears nor did it identify how many bears could be impacted or how impacts would affect this threatened species. BLM is reliant on lease stipulations and operating procedures to mitigate impacts to the Refuge and the DEIS fairs to show how it can enforce any mitigation requirements. The DEIS failed to address climate impacts. The DEIS fails to provide any analysis of how expanding fossil fuel development in the Arctic Refuge would exacerbate the impacts of climate change already occurring across the Arctic. The DEIA fails to address how to minimize the impacts on climate. Developing oil and gas in the Arctic Refuge is inconsistent with the urgent need to address climate change. The DEIS lacks scientific integrity. The BLM is required to ensure scientific integrity, acknowledge where it lacks information, and obtain that information. BLM did not acknowledge missing or outdated information in the DEIS and failed to identify the source of the information in analyses. BLM did not conduct any new studies or obtain the missing information.This lack of scientific integrity is evident in its use of outdated studies of polar bears, lack of analysis of caribou calving habitat, and the potential impacts of oil and gas development to birds. Download resources to help compose your public comments on the DEIS for the Arctic National Wildlife Refuge. What on earth does “the wall” have to do with Tetlin’s lynx research project, a school children’s Discovery Lab in Homer or a snowshoe walk in Kenai? Well these programs and so much more are being held hostage to the budget fight in Washington. The federal government shutdown, now in its third week, has shuttered all Alaska Refuge visitor centers and offices, canceled environmental education and public programs, postponed meetings and agreements, delayed hiring even of volunteers, postponed commenting on the Arctic Refuge oil leasing EIS, and postponed the start of winter biology projects such as the lynx project and moose counts. Only 21 employees in Alaska were deemed “essential” and they are working without pay mainly to protect facilities and carry out the shutdown. All others have been sent home as the Fish & Wildlife Service, without a budget, has no authority to pay employees. Two Friends events have already been cancelled due to the shutdown and several others are at risk. We can’t meet with Refuge staff if they aren’t on the job. Below is a list of some closures, cancellations and postponements that we know about. It is hard to get information on the scope of the cancellations when there are no refuge staff available to talk to. We also do not know if refuge wildlife and lands are suffering damage such as is reported for the Lower 48 National Parks and Refuges. All lands remain open to public use but the public is warned they are on their own. All Refuge Facebook pages, web pages and other social media communicating with the public. Friends Membership meeting on January 15. Won’t have a speaker if shut down in effect. Friends opening of the Coldfoot Visitor Center for aurora watchers, February 15 to April 15. The issue here is whether or not the extensive background checks can be completed in time. Alaska Marine Science Symposium January 28 – no FWS or NOAA participation if the shutdown continues. 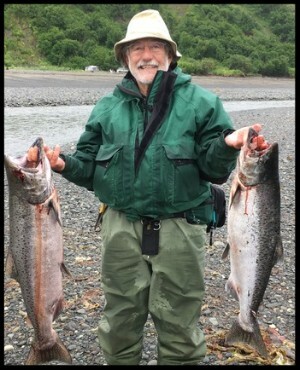 The hiring of refuge summer seasonal staff and volunteers. this shut down is costing all of us taxpayers money and opportunities to enjoy our public lands, programs, and facilities; the impact of this shut down will extend well beyond a return to work as our hardworking refuge staffs will be hard put to make up for this time lost from the job; and it is a breach of faith to not pay employees especially those who are still required to work. Not from Alaska? 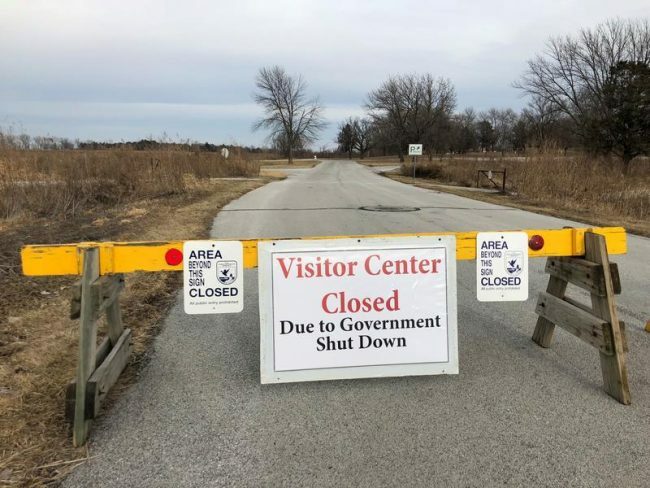 Find links to your representatives and updates on the shut down at the National Wildlife Refuge Association here. In 2018, we were confronted by many important threats to our National Wildlife Refuges and Parks in Alaska and the Nation. Friends are at the forefront of efforts to prevent the Administration from permanently damaging habitat and wildlife and giving away lands in national conservation units. Below are the major actions in which we have participated along with our many conservation partners. Secretary Zinke and his staff undertook a series of secret negotiations that resulted in a land trade with those who have pushed for an unnecessary and costly road through the heart of the Izembek Wilderness. The Friends organization is the lead plaintiff along with eight other conservation organizations in the lawsuit filed in the Anchorage Federal District Court that challenges the proposed land trade and road. We are represented by Trustees for Alaska that has performed excellent legal work on behalf of the conservation organizations. Everything has been submitted and argued, we and await a ruling by the Court on our motion for summary judgment. The criticism continues concerning the DOI fast-track goal of completing a draft environmental statement (DEIS) for oil leasing in less than six months. The environmental assessment for the proposed seismic testing has not been issued by BLM but could occur very soon. For a summary of the potential risks and impacts from seismic activity, click on the Alaska Wilderness League fact sheet here. We expect that the potential environmental impacts of seismic exploration and lease sales will not be adequately addressed and documented, which would result in extensive litigation by national organizations and Friends challenging these proposed actions. Friends and 14 other organizations intervened in the lawsuit by the State of Alaska and Safari Clubs International that challenged the National Park Service 2015 predator control regulations. The case was put on hold until December 10, 2018, because the Park Service was ordered by the DOI to issue revised regulations. We joined the other organizations in comments drafted by Trustees for Alaska opposing the revised regulations. We await the outcome of that process. The USFWS is preparing revisions to the regulations regarding hunting and access in the Kenai National Wildlife Refuge. This revision was ordered by DOI to accommodate the long-standing efforts of the State of Alaska to dramatically increase hunting and motorized access on the Refuge. As with the similar DOI orders to the National Park Service, their plan is to eliminate long-standing protections to habitat and wildlife on national wildlife refuges. We expect that the Department of Interior will require the Refuge to accept the demands of the State to allow baiting of brown bears and off-road vehicle access during the winter, but expanded hunting in the Skilak Wildlife Recreation Area along the Skilak Loop Road may not be addressed until later. We are closely monitoring this process and working with our conservation partners to prevent or minimize these destructive regulations. Together with the National Parks Conservation Association and other organizations, Friends entered an amicus brief in Sturgeon v. Masica in opposition to Sturgeon’s claim that, contrary to National Park Service regulations, he can operate his hovercraft on the navigable waters of Yukon-Charley Rivers National Preserve. After the Ninth Circuit Federal Court of Appeals denied his claim, the case was accepted by the U.S. Supreme Court, which has not yet issued its decision. Senator Sullivan’s bill to amend the Alaska Native Claims Settlement Act represents a major threat to federal conservation units in Alaska. It would revise provisions regarding land allotments for Alaska Native Vietnam veterans. Eligibility is expanded to include all Alaska Native veterans who served between August 5, 1964, and May 7, 1975. Allotments may be selected from vacant federal lands or lands that have been selected or conveyed to the State of Alaska or an Alaska Native corporation, if the State or corporation relinquishes or conveys the land to the United States for allotment. An heir of a deceased eligible veteran, regardless of the cause of death, may apply for and receive an allotment. We are following the progress of this legislation and hope that it will not become law. On behalf of our Board of Directors, I wish you all a wonderful Holiday Season and a New Year filled with conservation victories against the forces of darkness! The criticism continues concerning the DOI fast-track goal of completing a draft environmental statement (DEIS) for oil leasing in less than six months. The environmental assessment for the seismic testing has not been issued. For a summary of the potential risks and impacts from seismic click on the Alaska Wilderness League fact sheet here. DOI is moving forward with technical administrative items to advance the land exchange, including surveying the road corridor and material sites. Notice of the survey was in Federal Register on Sept. 12th. DOJ has confirmed that BLM is going to be republishing the FR Notice because it was confusion. This will restart the clock on the 30 day review and protest period once it is republished. The lawsuit challenging the proposed land trade and road through the heart of the Izembek wilderness is in the hands of the Anchorage Federal District Court as Trustees for Alaska performs excellent legal work on behalf of Friends and eight other conservation organizations who filed the lawsuit against the proposed land trade and road. We await a ruling by the court on our motion for summary judgment. There was little new in the government brief, and we remain optimistic that we will prevail against this destructive, costly, and unnecessary project. The USFWS is preparing revisions to the regulations regarding hunting in the Kenai National Wildlife Refuge. This revision was ordered by DOI to accommodate the long-standing efforts of the State of Alaska to dramatically increase hunting and motorized access on the Refuge. As with the similar DOI orders to the National Park Service, their plan is to eliminate long-standing protections of habitat and wildlife on national wildlife refuges. We expect that the Department of Interior will that the Refuge follow the demands of the State to allow baiting of brown bears, off-road vehicle access during the winter, expanded hunting in the Skilak Wildlife Recreation Area along the Skilak Loop Road. We are closely monitoring this process and working with our conservation partners to prevent or at least minimize these destructive regulations. The criticism continues concerning the DOI fast-track goal of completing a draft environmental statement (DEIS) for oil leasing in less than six months. There are serious questions about the financial health, expertise, and independence of the contractor to whom BLM has granted a permit to conduct extensive seismic exploration on the Coastal Plain. Such operations would leave lasting scars on the tundra and destroy vegetation. Seismic testing also poses a risk to denning polar bears that are increasingly coming onshore in the Arctic Refuge to build their winter maternity dens. Even with the best technology, it is not possible to identify all denning sites. The vibrations from testing can and have caused female polar bears to abandon their cubs. For a summary of the potential risks and impacts from seismic click on the Alaska Wilderness League fact sheet here. The Bureau of Land Management has yet to post the full seismic application, only a seven-page project proposal summary document. Seismic exploration could begin as soon as this December. The BLM claims that the impacts from seismic exploration are minimal and necessitate only a brief Environmental Assessment rather than a full Environmental Impact Statement. This rushed and potentially flawed process to assess the potential damage from seismic exploration and oil development continues to raise the specter of legal action by conservation organizations that would considerably delay the government’s frantic rush to develop oil in the Arctic Refuge. The lawsuit challenging the proposed land trade and road through the heart of the Izembek wilderness continues to work its way through the Anchorage Federal District Court as Trustees for Alaska performs excellent legal work on behalf of Friends and eight other conservation organizations who filed the lawsuit against the proposed land trade and road. Trustees is preparing our reply to the Department of Justice reply brief that was filed August 22. There is little new in the government brief, and we remain optimistic that we will prevail against this destructive, costly, and unnecessary project. The USFWS is preparing revisions to the regulations regarding hunting in the Kenai National Wildlife Refuge. This revision was ordered by DOI to accommodate the long-standing efforts of the State of Alaska to dramatically increase hunting and motorized access on the Refuge. As with the similar DOI orders to the National Park Service, their plan is to eliminate long-standing protections of habitat and wildlife on national wildlife refuges. The State wants to authorize hunting of brown bears at bait stations, which has never been allowed on refuges, and expand hunting and access in other areas of the refuge that have been limited by extensive studies and public participation that resulted in the current regulations. We are closely monitoring this process and working with our conservation partners to prevent or at least minimize these destructive regulations. The U.S. Supreme Court agreed to rehear the Sturgeon lawsuit against the National Park Service that had prevented his continued operation of a hovercraft in a national park. This suit challenged the authority of the Park Service to regulate activities on navigable waters in the national parks, which has major implications for national wildlife refuges and other national conservation lands. We had joined an Amicus Brief submitted by Trustees for Alaska on behalf of 14 conservation organizations in support of the Park Service. The Sturgeon oral argument has been scheduled for Monday, November 5 in the Supreme Court. There are no big changes in the government’s arguments, although there has been a change in the alignment of the amici. 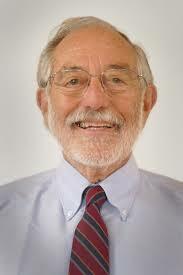 The congressional delegation did not file this time, and the ANCSA corporations mostly dropped out, only Ahtna filed. We are in a strong position with the brief we had previously filed, which is being updated for resubmission. The U.S. brief on behalf of the National Park Service will be filed on September 11. There has been considerable criticism of the DOI fast-track goal of completing a draft environmental statement (DEIS) in less than six months. We participated in a meeting of conservation organizations with the BLM staff that is implementing orders from DOI. The scoping process has been completed and comments can be viewed online. It appears that the independent contractor hired to prepare the Draft Environmental Statement (DEIS) will rely mostly on existing data and previous analyses, most of which are either incomplete or out of date. BLM was not forthcoming in response to our questions about the process and timing of actions. The Yukon government is launching its own study of drilling impacts in Alaska’s Arctic refuge. 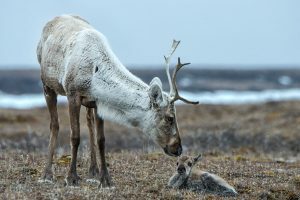 The Canadian territory is particularly concerned with potential impacts to the caribou herds who calve on the Arctic National Wildlife Refuge’s coastal plain and the Gwich’in people who depend on them for subsistence. This rushed and potentially flawed process to assess the potential damage from seismic exploration and oil development has raised widespread concerns that legal action by conservation organizations would cause considerable delays in government plans to develop oil in the Arctic Refuge. Under orders from DOI, the Fish and Wildlife Service granted a permit for survey work to delineate the boundaries of the lands in the Refuge that would be conveyed to build the road through the Izembek Wilderness. This legally-questionable survey that was hurriedly completed in July impacted wildlife and habitat with 80 helicopter landings and installation of 122 survey monuments. This intensive work with motorized equipment and aircraft was conducted within congressionally-designated wilderness in preparation for trading away vital public lands to a private entity to build the controversial road through the heart of the Izembek Wilderness. The lawsuit challenging the proposed land trade and road through the heart of the Izembek wilderness is working its way through the Anchorage Federal District Court as Trustees for Alaska continues its excellent legal work on behalf of Friends and eight other conservation organizations who filed the lawsuit against the proposed land trade and road. Our legal brief was filed, and the Department of Justice reply brief is due on August 22. We remain optimistic that we will prevail against this destructive, costly, and unnecessary project. The U.S. Supreme Court agreed to rehear the Sturgeon lawsuit against the National Park Service that had prevented his continued operation of a hovercraft in a national park. This suit challenged the authority of the Park Service to regulate activities on navigable waters in the national parks, which has major implications for national wildlife refuges and other national conservation lands. We had previously joined an Amicus Brief submitted by Trustees for Alaska on behalf of 14 conservation organizations in support of the Park Service. We reaffirmed our participation in this new round in the Supreme Court.